Susan Forest and Lucas K. Law tackle a topic in The Sum of Us that I wouldn’t have considered for an anthology of speculative stories. But the fault here is mine, not theirs, and in today’s Big Idea, the explain why their particular topic served as fertile ground for this collection. My father, Don Forest, was a remarkable man. He was the first person to climb all the peaks in the Canadian Rockies and Interior Ranges of BC over 11,000 feet (64 peaks), and at age 71, the oldest person to climb Canada’s highest mountain, Mount Logan. And, though he’d always treasured the outdoors, he didn’t take up mountaineering until he was in his early forties. He taught my brother and sisters and I not only the nuts and bolts of outdoorsmanship, but the culture, the folklore, and the way of life of the mountain community. A highly respected “old mountain man,” he took no greater delight than to teach his children, and later his grandchildren, how to clean a fish, how to make a meal on a one-burner stove, how to repair a broken ski binding twenty miles from the highway. For him, his “Grizzly Group” of mountaineering comrades were his community. The glint of early morning sun on a high peak was his spirituality. He gave it all up when, in her late seventies, my mother developed dementia. Of course. An avocation can be a powerful passion, but your mate, your bonded life partner, is a piece of yourself. And she had stayed home many weekends, uncomplaining, caring for home, hearth and children as he went out to make his mark. They cared for each other. I understand some of this. I love my work, my writing, my editing; but my children and my husband are part of me. Always, they come first. There is no question that the care we give one another is, personally to me and to most people, the highest priority, the highest calling, there is. It was an opportunity to read stories that captured the dimensions of love, sometimes unreturned; of desperation of a caregiver’s inability to conceive of a world without their partner; of the hard choices faced by those who, for whatever reason, choose not to take up this tough road. To explore the magnitude of human relationships implicit in an anthology centred on what it means…to care. The Big Idea for The Sum of Us comes from the women in my life—the exemplary courage they have shown when they go through adversity and challenges. They are not famous or well-known. They are just ordinary folks who define the breadth and depth of giving and of caring for a young boy growing up in Malaysia, and later a man making his way in Canada. The woman who influences me the most is my mother. She lost her mother when she was ten. At eleven, she had to leave home to live in a boarding school, as schooling was not available in her kampong. Two years later, she moved into a rented shack to take care of her three younger brothers (later, a fourth brother) who came for primary education. At fifteen, she left school to make a living. To be independent and be a caregiver at such a young age was amazing and heartbreaking. Imagine the piles of laundry she had to do for four boys—hand washing, line drying, ironing, folding—a constant and thankless chore. I was six when another strong woman came to live with us. My paternal grandmother did not come willingly, but she could no longer take care of herself. My pregnant mother took care of her, as well as a household of seven other people. Caregiving turned out to be 24/7. A year later, my grandmother died of cancer. In the last ten years, mental illness has struck several of my relatives. And it was the women who held everyone together through their strong determination, resiliency, and commitment, even when they felt the sting of stigma and silence from their friends and strangers. However, my Big Idea is worthless if the stories remain just stories, hidden away within the pages of The Sum of Us, and no one ever knows they exist—the messages they carry about caregiving being a noble profession, voluntary or involuntary, paid or free, short-term or long-term, are lost. It is up to us to find ways to tell and share these stories and our stories of the unsung heroes in our society—invisible in the background or relegated to a footnote, quietly making a difference to those whom each touches. The authors have done their jobs with their stories; let’s take a step further and get these stories into the hands of others. 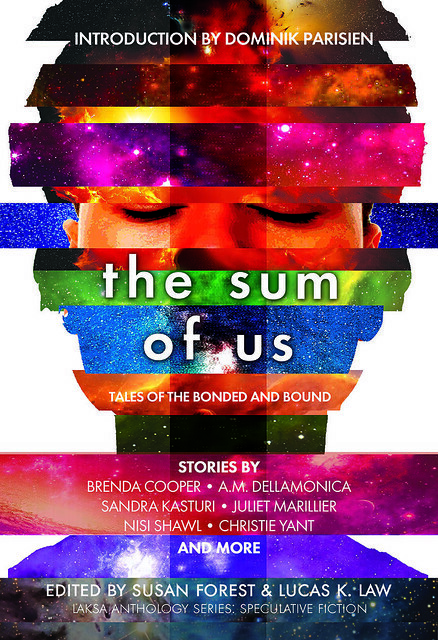 Suggest or recommend The Sum of Us: Tales of the Bonded and Bound to your local public and school libraries. Help these stories of caregiving and caregivers live beyond these pages. Read an excerpt. Visit Susan Forest’s site and follow her on Twitter. Visit Lucas K. Law’s site and follow him on Twitter. Just recommended my library (Winnipeg Public Library) purchase this. It sounds great. 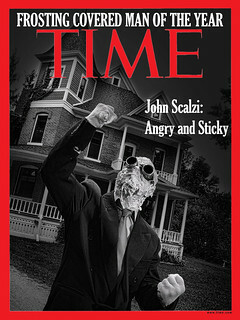 I’m very pleased someone has done this. There’s historically been a big hole in SF where personal and family obligations go – so many stories are written about people who have nothing to hold them down. This sounds like an interesting corrective. My father and my son (who has brain damage himself) took care of my mother when she had vascular dementia. she was in relatively good condition: she was continent, didn’t wander or become aggressive or call the police all the time. It was still a tremendous amount of work; I can but imagine the suffering of those who take care of the worse-off dementia patients. In a society that glorifies selfishness, I’m pleased to see such unsung heroes getting “sung” in your book. Good job! Wow. What a premise. This one just got added to the library hold list, and it may wind up on the holiday gifting list as well. My sister and I tag-teamed caregiving for our father during his final four years of life, as he faded into advanced vascular dementia. In his case, it was complicated by frank paranoia, plus a higher than usual IQ that meant even after he had lost a whole lot of marbles, he still acted and sounded convincingly rational. Even when insisting that the CIA and Mossad were trying to assassinate him. Those final few years were, um, interesting. He died in late 2004, and the reverberations of those years still jangle my sister’s and my nerves to this day. Yup, added to the list. Thank you, Ms. Forest and Mr. Law, for this. My condolences Colonel Snuggledorf. We’re dealing with something very much like this now, as my utterly brilliant, but high-functioning paranoid schizophrenic mother is losing the track of her various paranoiac delusions as cerebral ameloid angiopathy sets in. As of the moment, in her head, my father is/was the Zodiac Killer, D.B. Cooper, the Anthrax mailing guy, and the instigator for Ted Kazinski. Yet, even as she believes this, as long as she can stay on one track, she can be utterly convincing. My poor father. 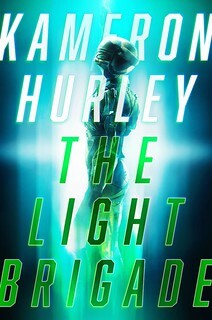 The idea is good, the book sounds good, but I’m not sure I can read it yet, or ever. This is no fault of the editors or the authors. It’s because I spent way too much of my life as a caregiver for my grandmother for the last several years o her life. She was in her 90’s and starting to have Alzheimer’s. Over several years, it progressed from where she had always been, smart, strong-willed, healthy — to memory loss, some personality changes, debilitating physical and mental state, an a loss of the ability to do even the most basic of care needs for herself. Yet she didn’t realize that, and it made things very rough. She remembered me up untill the end, but I was (1) her grandson, and therefore too young, even though I was in my 30’s and then 40’s; and (2) I’m a guy, and therefore, well, my grandmother had good reasons not to put too much trust in men. (I don’t know if she’d have listened any better to my mom if my mom (her daughter) had been alive and healthy.) Watching my grandmother’s health and dignity and memory and intelligence crumble away day by day just ate at me. And although I could be mostly fine about my own needs (or doing without), being the adult solely responsible for another person’s entire well-being was…wow, it weighed on me. In two months, it will be six years since she died. Her last year or two were nothing I would wish on any human being. So I had somewhat already come to terms with her loss. — But that, and (still) trying to put my life back together afterward, hurt me in ways I have not yet recovered from, emotionally, physically, financially, spiritually. I don’t know if I ever will get past all of it. I just know I’m changed from who I was before, significantly, and I have a much more jaundiced view of life…and I wish I didn’t. I’m still a dreamer, an idealist, still somewhat naive. But I’m coping the best I can and still struggling to rebuild my life. — At least it’s working somewhat; maybe. So the book’s subject hits very close to home. Maybe I’ll be able to read it and will like it, but right now, I’m avoiding it. That said, we need more reality and consequences in SF, instead of (too often) the giant reset button. Note not all stories do that, though. thank you all very much though, for covering such a difficult and needed subject.